Artículo ​​# 308629 Puntos Stash: 3895 (?) This is the number of points you get in The Zumiez Stash for purchasing this item. Stash points are redeemable for exclusive rewards only available to Zumiez Stash members. To redeem your points check out the rewards catalog on thestash.zumiez.com. 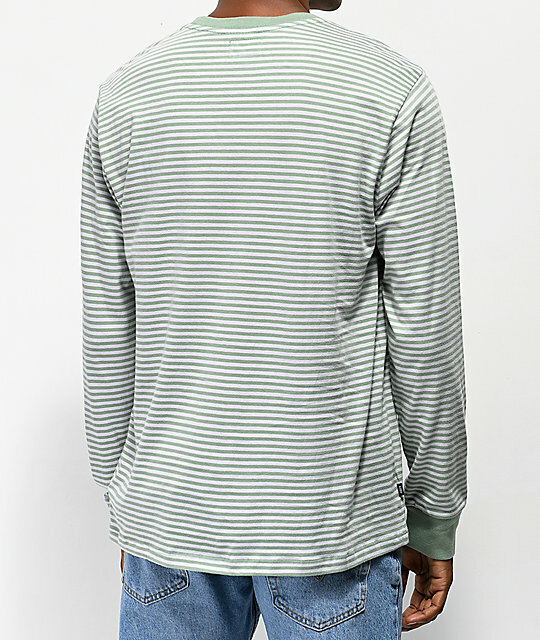 Go classic with the Apex green striped long sleeve t-shirt from Obey. 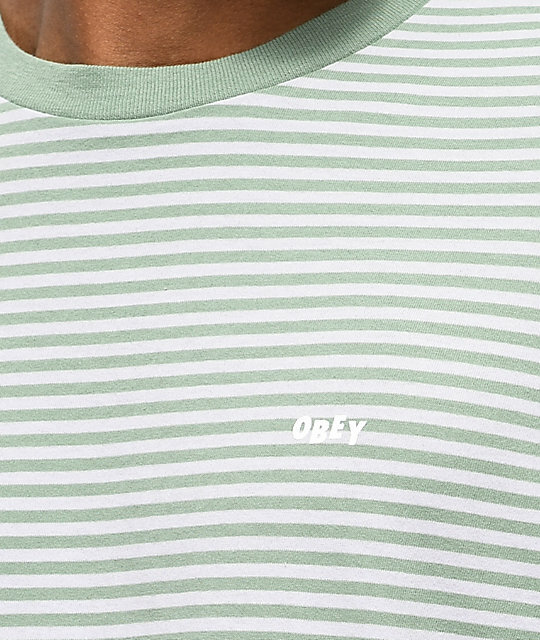 Coming with a pure cotton construction for a breathable, mobile fit, this crew neck tee features a green and pastel violet striped pattern throughout and is finished with a screen printed Obey graphic at the left chest. 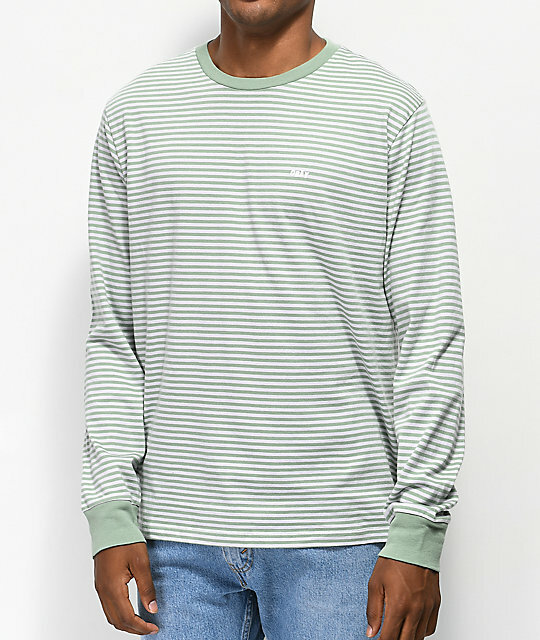 Apex Green Striped Long Sleeve T-Shirt from Obey. Green and light violet striped pattern throughout. Screen printed Obey logo graphic at the left chest. Woven brand tag at the right side seam. 28" (71cm) from top shoulder seam bottom hem.